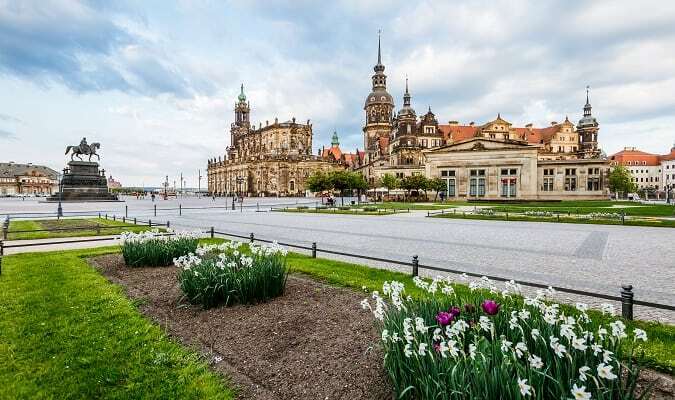 Dresden is located 30 km north of the border with the Czech Republic and along the Elbe Valley. It is a popular destination for its beautiful scenery and location. 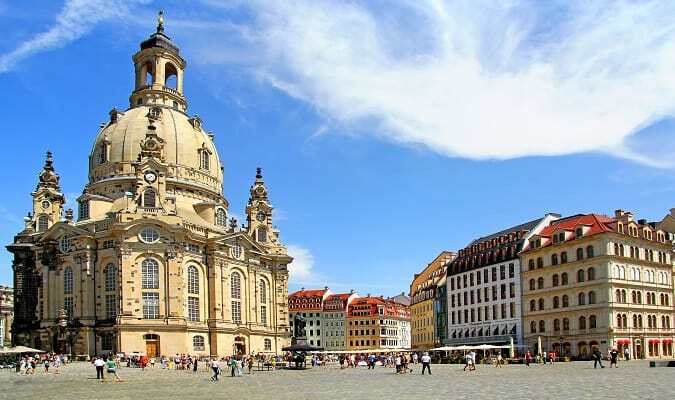 The Frauenkirche is considered one of the most beautiful churches in Europe. It was completed in 1743 with Barroque style. The Zwinger is a museum complex housed in an 18th century palace. Its Baroque architecture is impressive. 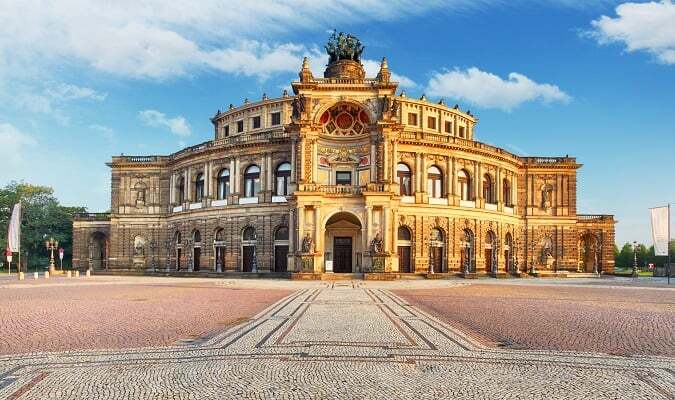 The Semperoper is an opera house located on Theaterplatz, one of the best public squares in Germany. 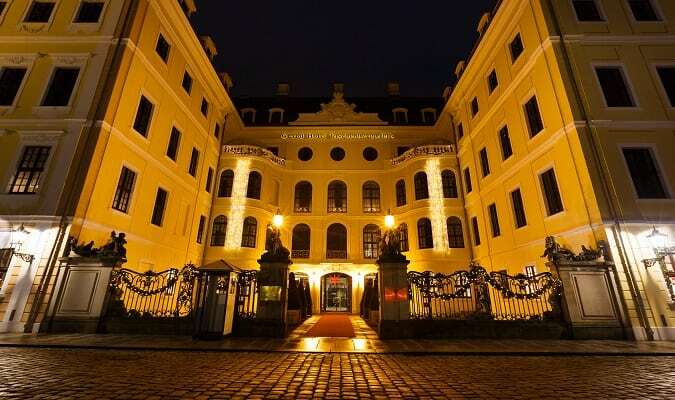 The Taschenbergpalais is a Baroque palace dating from 1711. Today the palace is home to the 5-star hotel Taschenbergpalais Kempinski. The Hofkirche is a church completed in 1755. 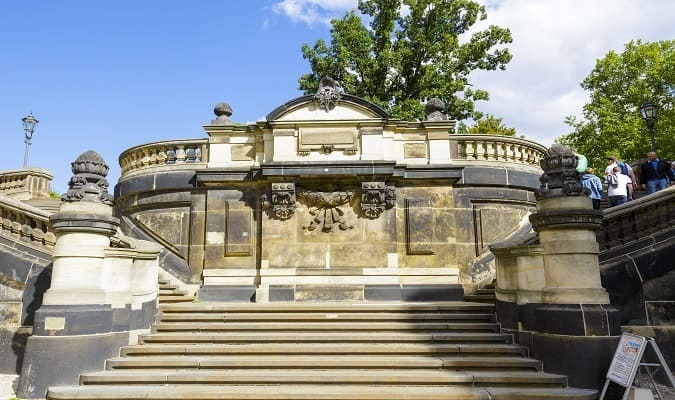 It was built in Baroque style and was completely restored after World War II. 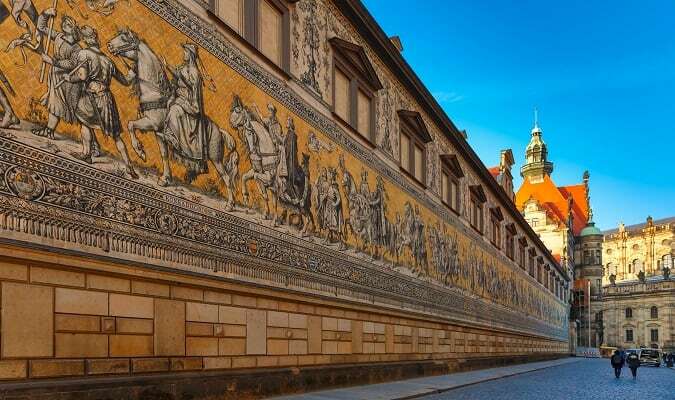 The Georgentor was the original exit for the Elbe Bridge and one of the first Renaissance buildings of the city. The Verkehrsmuseum is a transport museum. It has many historic vehicles, including airplanes, cars, motorcycles. The Brühlsche Terrasse is a terrace that extends above the bank of the Elbe located to the north of the square Neumarkt and Frauenkirche. 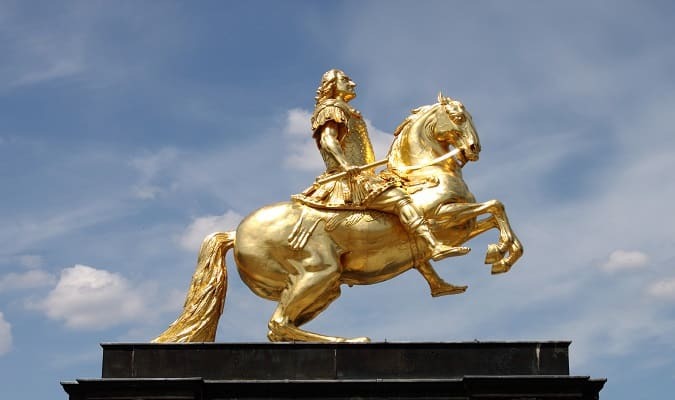 The Dresden Castle was for almost 400 years the official home of electors and kings of Saxony. 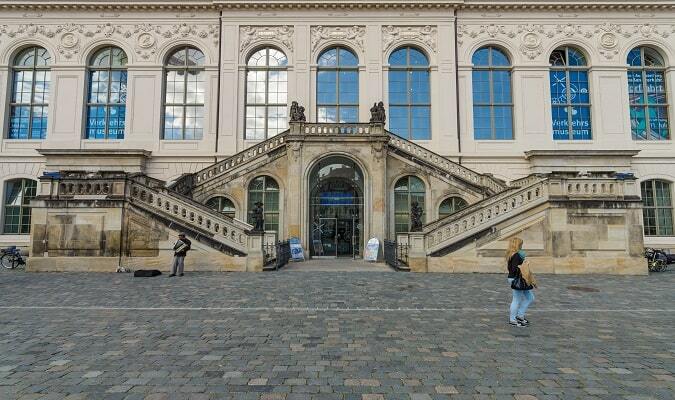 Today the former palace is part of the Dresden Arts Collection, an excellent museum complex. The Augustus Statue is located at Neustädter Markt. The Japanisches Palais was built in 1737 with Barroque and Neoclassical styles. Today it houses three museums: the Museum of Ethnology Dresden, the State Museum for Pre-History and the Senckenberg Naturhistorische Sammlungen Dresden. The Grosser Garten was opened to the public in 1814. Highlights of the Grosser Garten include the Botanical Garden, the Dresden Zoo and the Grosser Garten. 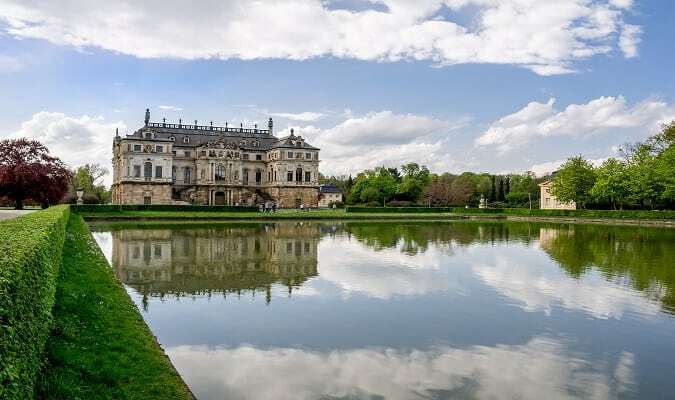 The Schloss Pillnitz is located 11 km from Dresden old town. The complex is home of the Wasserpalais, Bergpalais and New Palace. It can be reached by boat along the Elbe. 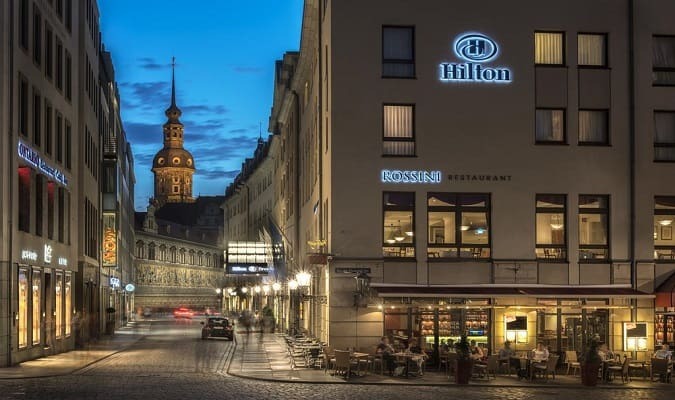 The Hilton Dresden is located in the old town close to the Frauenkirche. Rooms are elegant and equipped with a flat-screen TV, coffee maker. The hotel features a sauna and a swimming pool. The Radisson Blu Park Dresden is located 7 km from the city center. The hotel has 574 rooms equipped with a TV and minibar. It has a spa and a swimming pool. 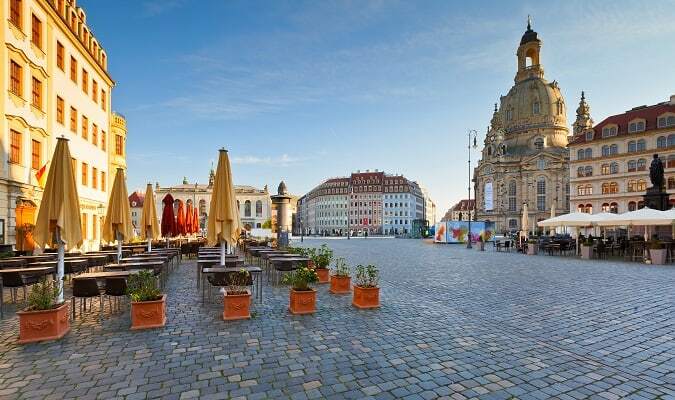 The Holiday Inn Dresden City Centre is located in the heart of Dresden. Rooms are equipped with a TV, coffee maker. 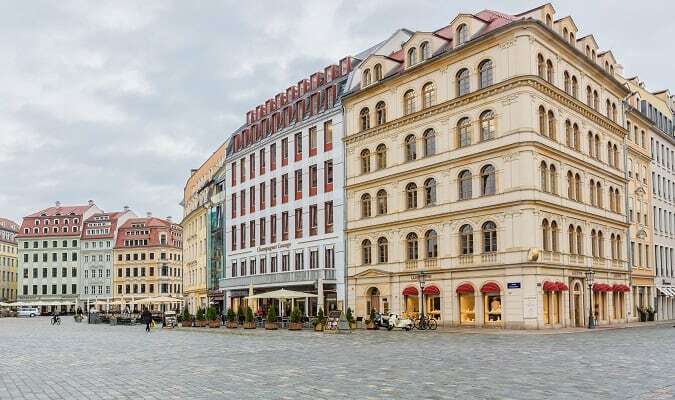 The Altmarkt Galerie is located in Dresden old town. Brands: Apple, Armani, Guess, Tommy Hilfiger, Zara. The Quartier QF is located close to the Frauenkirche. Brands / Stores: Van Laack, Mode de vie, Coldini. Dresden has easy train access from various cities in Germany. Famous cities nearby: Leipzig, Berlin, Braunschweig, Potsdam.